Gillian Murphy & David Hallberg in Cinderella. It's been a year since we've seen principal dancer David Hallberg perform with ABT, as he began dancing with the Bolshoi and splits his time between Moscow and New York. I guess we should feel lucky that he keeps one elegant foot here, even if it means a reduced spring ABT season workload and no fall/winter New York dates. It would be unthinkable to lose him completely. In any case, it's wonderful to see him again in well-suited leads in Cinderella and Giselle. He is a natural-born prince (despite—because of?—his South Dakota provenance), with his statuesque height, noble profile, blond locks, and his innate hauteur. 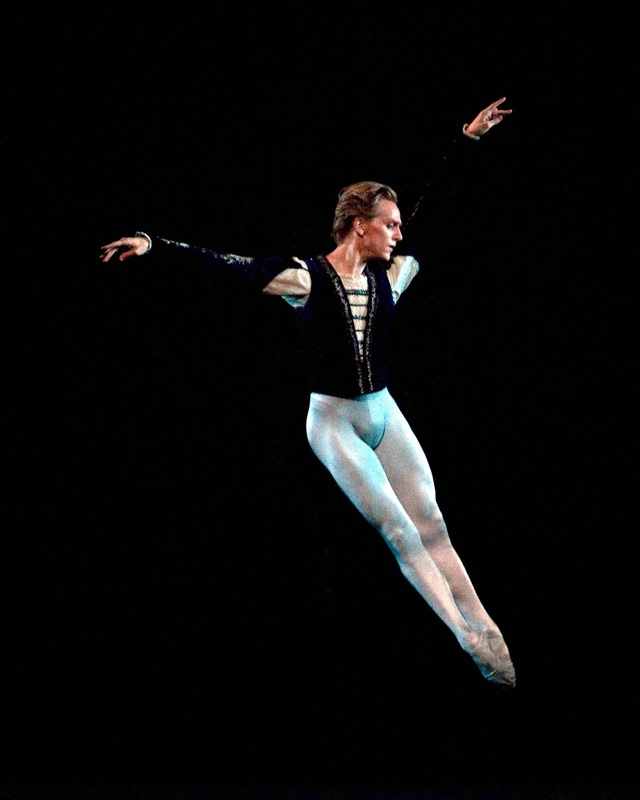 In his months with the Bolshoi, he has added welcome upper body strength to make overhead ballerina presses look easy, particularly with the sparrow-sized Alina Cojocaru in last Saturday evening's Giselle (he stepped in for an ailing Herman Cornejo), but also in the case of the substantially taller Polina Semionova earlier in the week. In Cinderella, he confidently lifted Gillian Murphy above his head and gracefully descended a set of stairs. He has burnished other elements of his partnering studies—the feather-soft placing of the ballerina back on point, firmly gripping her waist as she tilts downward in arabesque, arranging his gaze to complement hers. It's somewhat ironic that the better partner a man is, the more he disappears, but in a good way. Hallberg's demeanor is less that of an innocent youth now, and grounded with more maturity and intent. When he ponders his fate, it reads as concerned instead of unclear. And his technique remains paradigmatic, amplified through an emphasis of certain details. A leg held at 90º for an added second or two projects into infinity through his gloriously pointed, high-arched foot. As he circles in the forest, a small scissor step has become far wider and bolder, expressing ecstasy but also ferocity. (Has he learned to outwardly savor those moments when he approaches the sublime, as his fellow dancers often do?) And as always, he floats in perfect split grand jetés, defying gravity. One drawback is that he is so long-legged that the Met stage seems too small for him in these leaps. I would not have predicted that Semionova would be such a profoundly moving Giselle; her rather tall height doesn't lend itself to the girlishness that in part makes the character's illness and death so terribly sad. But she moves with such tenderness and delicacy that she appeared to be moving through water at times. Hallberg is the right height for her, and together they were heartachingly gorgeous. He is tall for Cojocaru, with whom he danced on Saturday, but she gives a powerful portrayal of the broken ingenue. (Plus, how can one quibble with him as a substitute, despite missing Cornejo's only Giselle?) She is a natural fit for the role, seamlessly transitioning from a demure coquette to a tragic spirit. Again, it is a lovely gift that Cojocaru, one of the luminaries of the current generation, guests with ABT. David Hallberg will perform in Swan Lake and The Dream in the final weeks of ABT's season at the Met, and in July, with the Bolshoi during the Lincoln Center Festival. When it rains it pours, but don't hesitate to seize the moment as he is a singular talent in a generation of fine dancers.